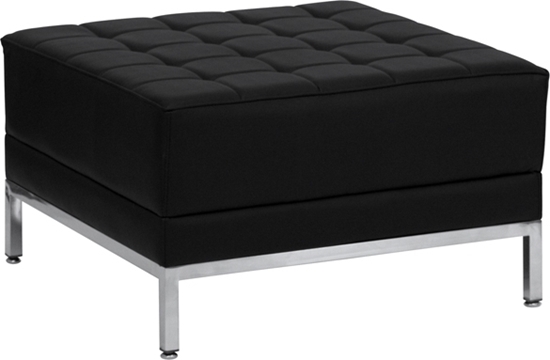 A great addition to any waiting room, this ottoman can be used to place newspapers and magazines or as additional seating. Available white, featured in black. Order now to get free shipping! Designed for comfort and style the Imagination reception lounge chair makes a great impression in your waiting room. 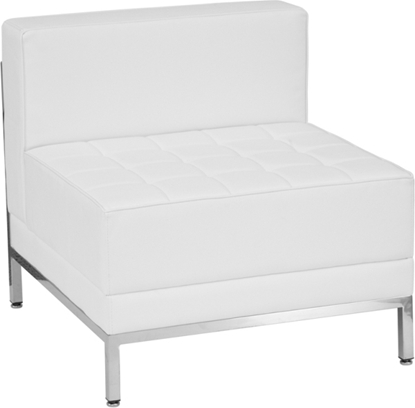 This chair features a stylish frame, a tufted seat, and stands on integrated stainless steel legs. Order today and get free shipping! 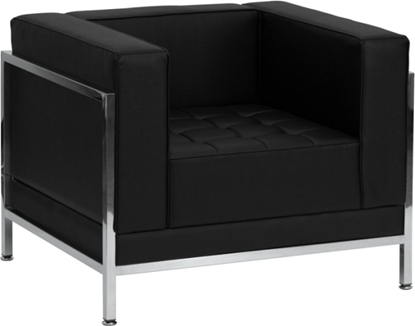 Available in black (featured in white) this reception chair is a great addition to any office. This chair features stainless steel legs, an accent bar across the back, and a tufted seat for added style. Get free shipping on all orders!